Many new aquarium owners make the mistake of purchasing hard to care for fish. Or they purchase one of a type of fish that needs a group. Even worse, they buy a group of aggressive fish which end up picking on each other until the numbers are diminished down to one. In the end, you can’t have to learn these lessons the hard way. Instead, we’ve done the research, worked with a number of aquarium enthusiasts and learned everything we could about these fish. Deciding which is best for your tank is still up to you but hopefully, this information can help you in deciding which fish to add to your aquarium! Fish are pets; however, they are the pet that is meant for looking and not touching. This doesn’t mean that you don’t care for them, quite the contrary. Because the only way you can show you intend to keep your fish alive is by maintaining a clean and healthy tank then you want to be sure you are only adding fish which benefit the ecosystem you’ve created. The first question you should ask when adding any new fish to your aquarium is, how many fish do you already have. Keep in mind you should only introduce two or three new fish into a tank at once. Then consider that your nitrogen cycle will see the effect of this addition. Add fish in moderation and always be sure to not overpopulate your fish tank! 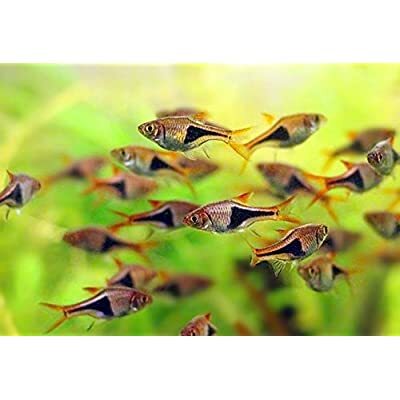 Many aquarium enthusiasts love taking on schooling fish but make the mistake of purchasing tetras. Tetras are an aquarium favorite but are sensitive and need more water maintenance. Adding in tetras calls for constant monitoring. Here are the top 5 freshwater fish to add to your aquarium! Barbs are an excellent choice for freshwater fish to add to your aquarium. Well, most varieties. Cherry, gold, rosy, ruby, purple, and to barbs are great options that can bring in a lot of colors. Do be sure to avoid Tiger Barbs though because they tend to pick fights and nip at your other aquarium occupants. These lively fish are known to stay perky long into their life and enjoy schooling with at least five others. They tend to thrive in neutral water and prefer it slightly cooler. They don’t usually mix well with long-finned aquarium-mates because of how active they are they tend to get in the way. Chery, Rosy, Ruby, Gold, or Tico Barbs are all great options and will make worthy companions for your other fish. They thrive well in neutral or softly acidic waters which is what much other fish prefer and ten to enjoy thecooler water. All of this adds up to an easy to care for theschool of fish! Aquarium enthusiasts everywhere love rasboras. Whether it is the harlequin or scissortails they are visually appealing and look even better in schools. They can live for about 6 years when well cared. In addition, they’re peaceful and enjoy communities. Rasboras prefer to stay in the mid and top levels with a neutral or softly acidic ph balance. These are truly a freshwater fish and enjoy thick plant life as well open waters. Their schooling numbers range but they are happiest in groups ranging from 3 to 7. Rasboras aren’t demanding when it comes to foods they’ll eat nearly anything! The only downside to Rasboras is the need for vegetation. If you don’t have a planted tank or don’t have fake plants in it they could seem listless and may seek out other hiding spots. Other than that, rasboras are great small school fish that get along well with tankmates. They’re generally easy to care for and are undemanding. Bronze or Gold Cory’s are wonderfully metallic and white. While the Bandit Cory is rightfully named as it resembles a raccoon. Catfish can live for years in any size tanks and will often grow to accommodate the tank size. But, you should be cautious when buying plecos because they just keep growing. If a pleco begins to outgrow your tank you might find it difficult to have someone to pass them on to. Overall, these are great fish to add into your aquarium. They prefer slightly acidic or PH neutral water and are bottom dwellers. They usually grow up to about two inches in length and aren’t known for having problems with other fish. The slam dunk on catfish? They help maintain the cleanliness of your tank. As they burrow and kick up debris trapped in the bedding or rock they eat anything that’s been lodged down there. If you can carry 6 catfish in your tank these are an excellent choice. However, many people look for solo catfish and wind up buying plecos. Plecos outgrow their environment quickly. 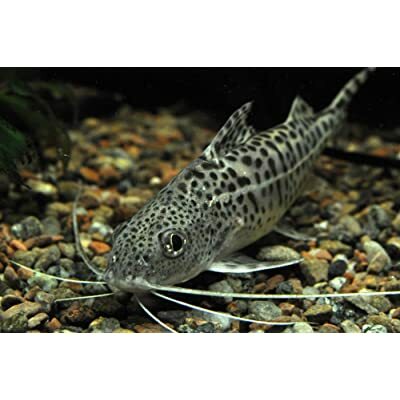 Catfish are great at maintaining their environment and establish balance in throughout the tank. If you have a large tank though, these guys probably aren’t for you. They can also take on a defensive stance that is known to cut through the skin as well as netting. If you have aggressive fish, the peaceful catfish could really put up a fight. Danios are a great freshwater choice for a few reasons. First and foremost, they’re peaceful and enjoy community tanks. Secondly,they are exceptionally active. Finally, there are a number of varieties that can really bring color into your tank. Most Danios’ are really cheap so it’s easy to build up a school quickly. Great danios should be actively avoided because of their size. They can easily run out other fish and still requires a school. These fish quickly become depressed if they’re alone and can’t handle it very well. They become visibly ill when alone. The White Cloud Mountain Minnows are notorious in starter tanks and for a reason. These fish are extraordinarily easy to take care of and are great to look at in a school. They generally live in the top and mid-levels of the tank. They eat nearly anything and are peaceful with other tankmates. Overall, they’re a great fish to have and a school of them is welcome in almost any tank. Usually, they are sold to accompany goldfish because they do well in cold waters as well. The downside of this companion setup is that goldfish tend to eat fish of this size and usually the White Cloud Mountain Minnow doesn’t last for very long. 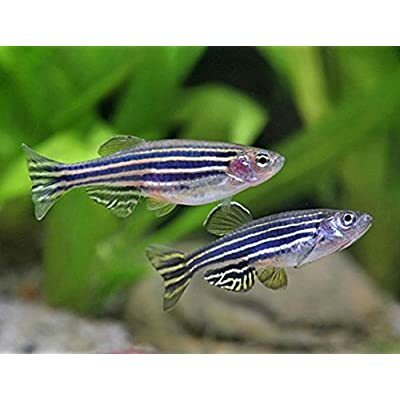 Because of their size, they are susceptible to being picked on by small aggressive fish like tiger barbs and can be food for larger aggressive fish. These are a great filler option for any tank and an exceptionally great option to start bulking up a starter tank. White Cloud Mountain Minnows are exceptionally hardy and can handle the intense ups and downs of a new aquarium. This is one reason why so many beginners are drawn to them. Unfortunately, their home in the wild has been severely compromised so nearly any White Cloud Mountain Minnow you buy in a pet store is commercially bred. The barb comes out on top in this roundup. With a wide variety of barbs to choose from, their peaceful nature and enduring hardiness you almost can’t go wrong. 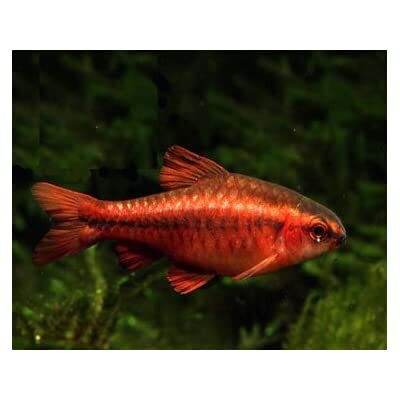 A favorite among many aquarium enthusiasts searching for the best freshwater fish is the cherry barb. 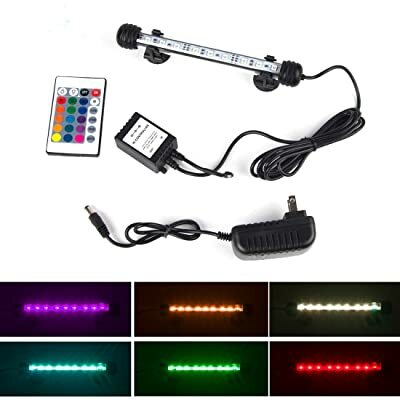 As you can imagine they shine in a bright red, bringing a lot of color to your tank. For your best bet, bring in at least 6 barbs. Although they don’t always school together, they find comfort in schooling when scared. It’s easy to quickly build up a barb family as they eat nearly anything and are compatible with so many other fish.